The beauty category lists the collection of WordPress themes that you can use to build beauty-related websites or blogs. It can be used by either individuals or businesses who want to share various beauty-related information to their audience. If you love to do make up, hairstyle, skin care, and the like, you can create a website in the beauty niche with one of these themes, where you can share your knowledge about how to take care of your skin, hair, cosmetic, and so on. 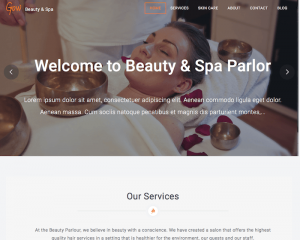 For businesses, you can use these themes to promote your beauty-related services, such as spa, skin care center, massage parlor, and so on. You can also use these themes to build websites where you can sell your beauty products to your audience.